Winslow FARR Jr [Parents] [scrapbook]-102 was born 1 on 11 May 1837 in East Charleston, Orleans, Vermont, United States. He died 2 on 18 Feb 1913 in West Weber, Weber, Utah, United States. He was buried 3 on 20 Feb 1913 in Ogden, Weber, Utah, United States. Winslow married (MRIN:121) Emily Jane COVINGTON-1696 on 17 Oct 1858 in Washington, Washington, Utah, United States. LDS Biographical Encyclopedia, Andrew Jenson, Vol. 4, p.499 Farr, Winslow, Bishop of the Dublan Ward, Juarez Stake, Mexico, from 1889 to 1899, was born May 11, 1837, in Charleston, Vermont, a son of Winslow Farr and Olive Hovey Freeman. He was baptized in 1845 in Nauvoo, Illinois, came to Utah in 1847, filled a mission to England in 1868-1870, was ordained a High Priest April 19, 1871, by Wilford Woodruff, and a Bishop May 28, 1877, by John Taylor, and presided over the Ogden 3rd Ward, Utah. He died Jan. 5, 1914. Biographical Sketch of Winslow Farr Jr.
Winslow Farr, Jr., was born May 11, 1837, at Charleston, Orleans Co., Vermont. Winslow Jr., was the youngest and smallest at birth of the six children who were born to Winslow Farr, Sr., and Olive Hovey Freeman. He was born 10 years after the birth of the youngest of the five older children. Family tradition states at birth his mother's wedding ring would slide completely over his hand. When fully grown he was the tallest and largest of his family, reaching the height of 6 feet 4 inches. The Farr family, who joined the church May 19, 1832, sold 2,000 acres they owned in September of 1837 and moved to Kirtland, Ohio. In 1838 Winslow Jr. was blessed by the prophet Joseph Smith. In the spring of 1840 the family moved on to Far West, Missouri. When persecutions drove the Mormons from Missouri, the Farr family joined the Saints in establishing the City of Nauvoo, Illinois, where Winslow Sr. built a comfortable home for his family. Winslow Jr., was baptized by his father Winslow Sr., on his eighth birthday, May 11, 1845. With persecutions mounting, the Saints were once again forced to flee their substantial homes in "Nauvoo the Beautiful". In June of 1846 the Farr family crossed the Mississippi River and joined hundreds of additional families journeying by wagon train across the state of Iowa. By the summer of 1847 the Farr's were situated across the Missouri River in the settlement of Winter Quarters, which is known today as Florence, Nebraska. President Brigham Young instructed the Brethren in how to organize companies for emigration to the Great Salt Lake Valley. Winslow Farr, Sr., served on a mission to the eastern states from 1847 to 1849. The Farr family spent their time in Winter Quarters awaiting his return. June 15, 1850 an emigrating company of 100 was organized on the Missouri, near Council Bluffs of which Joseph Young was appointed president, Winslow Farr Counselor, William Snow Captain, and Gardiner Snow captains of 50. The Winslow Farr Sr. family traveled with the Gardiner Snow Company. Thirteen year old Winslow Jr., walking barefoot, at times wrapping his feet in burlap, helped drive one of their team of oxen across the plains. The Gardiner Snow Co., arrived in Salt Lake Valley in September 30, 1850. Winslow Sr., eventually moved his family to the mouth of Big Cottonwood Canyon. Winslow Jr., helped his father clear the land and plant the farm. The first pair of shoes ever worn by Winslow Jr., were crafted in Salt Lake City out of rawhide. His mother made him a "best" pair of pants out of a piece of carpet. In 1857, 20 year old Winslow Jr., was selected as a Captain in the Mormon Militia, who called themselves "The Nauvoo Legion". The Militia had been organized to resist the U.S. Army troops headed by General Albert Johnston, who were rumored to be on their way to the Salt Lake Valley to "kill all of the Mormons". After months of preparation and drilling by the militia and meetings held between the Mormon and government leaders, the U.S. Army entered peaceably into the Salt Lake Valley on the 26th of June 1858. In September 1858 Winslow Jr., journeyed by team and wagon to southern Utah. On October 17, 1858, at 11:00 a.m. Winslow Jr., and Emily Jane Covington, daughter of Robert D. Covington and Elizabeth Thomas were married at Washington, Washington Co.,Utah. In 1860 the young couple were called to help establish a new settlement in Northern Utah. March of 1861 found them living in a dugout home on a farm in Paradise, Cache Valley, Utah. Soon after their arrival Winslow Jr., was appointed to the fence and school house committees and on March 3, 1861, was elected town marshal and a Captain in the Minutemen Militia. Groups of men were assigned to work together in the fields and to stand as guard against depredations in the Valley from the Indians. Winslow Jr., had a saying "I am not a musician, I just love to fiddle around". As recorded in his diary, he tells of playing the violin for parties, weddings, dramatic productions and dances as well as many other special occasions. In 1867, Winslow Jr. and Emily Jane sold their farm and moved to Ogden, Utah where their home was built on the corner of 20th and Washington Boulevard. In 1868 Winslow Jr., was called on a mission to Great Britain. He left by mule train from Laramie, Wyoming where he embarked on a train for New York City and set sail on the steamer, France. He labored in the Liverpool conference under the direction of Moroni Ensign. He was honorably released from his mission in July of 1870. Upon his return to New York City, he was appointed Captain under Karl G. Maeser, to bring Saints to Utah. When he returned to Utah he went to work for the Z.C.M.I. Co-Op Store. In 1871 he was ordained a High Priest by President Wilford Woodruff. On May 5, 1873, Winslow took a plural wife named Susan Melvina Bingham. Winslow Jr., was called and set apart as Bishop of the Ogden 3rd Ward North Weber Stake on May 28, 1877, by Franklin D. Richards & President John Taylor. Records reveal that in February 1881 Winslow Jr., obtained a patent for a home- stead for an 80 acre homestead in West Weber, Weber County, west of Ogden, Utah. Winslow Jr., and Emily Jane's sons Lafayette and Lorin cleared the land where they built a granary, followed by a new adobe home near the front of the property. Winslow Jr., moved Emily Jane and her children to this farm. On December 12, 1878 Winslow Jr., took another plural wife, Matilda Halverson. Matilda lived in her own small home on Farr Avenue in Ogden. In March of 1882, the U.S. Congress passed the Edmunds Tucker Act which strengthened the U.S.law against the practice of polygamy. In October of 1885 word was received by Winslow Jr., while working at the Z.C.M.I. Co-op store, that the Federal Marshal's were on their way to arrest him. He made his escape by being nailed inside of a wooden box, which was carried away by team and wagon. Winslow Jr. fled with his third wife Matilda, and their children to southern Utah. In 1887 Winslow Jr. spent time with the Navajo Indians, where he preached to them about the principles of the gospel and introduced them to the Book of Mormon. He told them that the Book of Mormon was a record of their forefathers that once lived in this land. The Navajo understood his plight and offered to help him hide from the Federal authorities. The Indians invited him to stay with them; however, he moved on to Colorado. After two years of self imposed exile in San Juan, Utah and Cortez Co., Winslow Jr. returned to Ogden, Utah in November of 1887 to surrender to the Federal authorities. He was released on bond and stood trial on May 27, 1888. The Trial: The Ogden Standard Examiner Newspaper Article. The case of the United States vs. Winslow Farr, unlawful cohabitation was called. Kimball & White and N. Tanner, Jr. appeared for the defense. Mrs. Emily Jane Farr was the first witness. She had been married to defendant twenty-nine years; knew Susan Farr, but not prior to 1883. She claimed the privilege of exemption from testifying, as she was the legal wife. She was excused. Mrs. Susan Melvina Bingham was called. She was married to the defendant fifteen years ago; defendant had visited her occasionally during 1883; had several children who bore his name. The youngest was 3 years old; he had not held her out as wife for several years. The defense did not introduce any testimony. The court charged the jury and they retired, making two juries in consultation, one on adultery and the other on unlawful cohabitation. After an absence of ten minutes the jury in the Farr case returned and rendered a verdict of guilty. Time for sentence was waived and defendant was sentenced to six months' imprisonment and to pay a fine of $300 and costs." Winslow Jr. was convicted of unlawful cohabitation and was sentenced to six months in the Utah Territorial Penitentiary with a fine of $300.00. While he was in the penitentiary he studied bookkeeping and the Spanish language. He also worked outside, as a trustee, on the prison farm. While incarcerated, he made sixteen (16) fancy wool mats, one each for his three wives, with their initial woven into the center. He made ten (10) canes out of little oaks that grew around the penitentiary. He gave them to his fellow inmates, including one cane to George Q. Cannon. When released from prison on November 24, 1888, the Ogden Third Ward gave him a grand reception and welcome home party. Winslow with his wives Melvina and Matilda and their children left Ogden in 1890 and journeyed with other Mormon families to establish farms in Mexico. Subsequent return trips to Ogden were made easier and affordable when his brother Lorin provided a railroad pass. In 1897 Winslow Jr. was called in a letter from the first presidency, to locate permanently in Mexico. Before departing Ogden for Mexico, he deeded his interest in the homestead to his wife Emily Jane. Winslow Jr., located in Colonia Dublan, Mexico, where he was called and presided as Bishop of the Dublan Ward, Juarez Stake from 1889 to 1899. On January 10, 1899, Winslow married his fourth wife, Sarah Mitchell Graham in Colonia Dublan, Mexico. He was released as bishop in September of 1899 and soon after was ordained a patriarch. Winslow Jr., made a number of round trip journeys between Ogden and Mexico. He spent most of his time in Mexico; however, he made return trips to Ogden which lasted anywhere from a few months up to a year. Winslow Jr., and all of his wives were in Utah in the spring and summer of 1903. In April 1903, Winslow's second wife Melvina, with her two youngest sons, returned by train to Dublan, Mexico. When Melvina took sick she was taken to the hospital in El Paso, Texas, where she died on November 6, 1903 from a ruptured intestine. She was buried in Colonia Dublan, Mexico. Winslow Jr., accompanied by his son, Joseph, returned to Mexico in November of 1903. Winlsow's fourth wife, Sarah, accompanied by Winslow's brother, Lorin Farr, returned to Dublan, Mexico in December 1903. Winslow remained in Mexico until July of 1906, when he made his final return trip, by train to Utah, where he resided until his death. Between 1906 and 1913, Winslow Jr. resided with his fourth wife Sarah in Salt Lake City. On occasion he traveled by the Bamberger rail line to visit Matilda and her children in Ogden and by horse and buggy to visit Emily Jane and her family on the farm in West Weber. Winslow Jr., his wife Sarah and his brother Lorin, spent many days working in the Salt Lake Temple. Winslow Jr. was the father of thirty one children. Fourteen (14) with Emily Jane Covington Farr, eleven (11) with Susan Melvina Bingham, six (6) with Matilda Halverson and none by Sarah Mitchell Graham. On February 2, 1913, Winslow Jr. suffered a stroke. Emily Jane and Winslow Jr.'s, four sons moved him from Salt Lake City to the Farr family homestead in West Weber (now known as Taylor, Utah). His sons, Lafayette, Lorin, Barnard and Aldebert took turns attending and sitting through the night with their father. Winslow Jr., died February 18, 1913. Internment was on February 19, 1913 in the Ogden City Cemetery, Weber Co., Utah. Those who gave the eulogies at his funeral spoke of his honesty, integrity, fairness in business matters and his special ability as an interpreter and peacemaker between the Indians and the communities where he had lived. His descendants admire his talent with the violin, his robust, strong pioneering spirit and his unwavering dedication to the principles of his religious beliefs. 4) Treasures of Pioneer History by Kate B. Carter, Volume three, 1954. 5) Womens Voices by Kenneth W. Godfrey, Audrey M. Godfrey, Jill Mulvay Derr 1982 Published Deseret Book Co.
Emily Jane COVINGTON [scrapbook]-1696 was born 1 on 1 Jan 1843 in Summerville, Noxubee, Mississippi, United States. She died 2 on 4 Mar 1921 in Taylor, Weber, Utah, United States. Emily married (MRIN:121) Winslow FARR Jr-102 on 17 Oct 1858 in Washington, Washington, Utah, United States. Emily was counted in a census 3 in 1850 in Great Salt Lake, Deseret Territory, United States. She was counted in a census 4 in 1880 in Ogden, Weber, Utah, United States. She was counted in a census 5 in 1920 in Taylor, Weber, Utah, United States. Emily was among the 4th ten, of the 2nd fifty, in the 2nd hundred of the Pioneers of 1847. Winslow Robert FARR 1-10710 was born on 3 Feb 1860 in Washington, Washington, Utah, United States. He died on 15 Jul 1861. F ii Emily Olive FARR-10711 was born on 15 Feb 1862. She died on 28 Feb 1925. M iii Lafayette Thomas FARR-10713 was born on 14 Feb 1864. He died on 21 Feb 1946. M iv Lorin Freeman FARR-10799 was born on 24 Mar 1866. He died on 7 Feb 1942. David James FARR 1-10813 was born on 6 Aug 1868 in Ogden, Weber, Utah, United States. He died on 5 Sep 1869 in Utah, United States. Moroni FARR [twin] 1-10814 was born on 1 Apr 1871 in Ogden, Weber, Utah, United States. He died on 15 Apr 1871 in Ogden, Weber, Utah, United States. Mohonri FARR [twin] 1-10815 was born on 1 Apr 1871 in Ogden, Weber, Utah, United States. He died on 19 Jun 1874 in Ogden, Weber, Utah, United States. DEATH: Death date is according to the CMIS. Ida Almena FARR 1-10816 was born on 19 Apr 1872 in Ogden, Weber, Utah, United States. She died on 6 Nov 1875. Sylvia Mary FARR 1-10817 was born on 4 Feb 1874 in Ogden, Weber, Utah, United States. She died on 19 Jun 1874 in Ogden, Weber, Utah, United States. William Henry FARR 1-10818 was born on 26 Mar 1875 in Ogden, Weber, Utah, United States. He died on 6 Nov 1875 in Ogden, Weber, Utah, United States. Mary Isabelle FARR 1-10819 was born on 1 Mar 1877 in Ogden, Weber, Utah, United States. She died in Mar 1877 in Ogden, Weber, Utah, United States. M xii Barnard Elijah FARR-10820 was born on 6 Oct 1878. He died on 4 Feb 1925. M xiii Aaron Adelbert FARR-10879 was born on 25 Nov 1880. He died on 9 Sep 1939 from of a skull fracture. Johnathan FARR 1-10881 was born on 26 Apr 1884 in West Weber, Weber, Utah, United States. He died on 20 Aug 1884. Nathan FARR-10882 was born on 26 Apr 1884 in Ogden, Weber, Utah, United States. He died on 30 Aug 1884. Winslow FARR Jr [Parents] [scrapbook]-102 was born 1 on 11 May 1837 in East Charleston, Orleans, Vermont, United States. He died 2 on 18 Feb 1913 in West Weber, Weber, Utah, United States. He was buried 3 on 20 Feb 1913 in Ogden, Weber, Utah, United States. Winslow married (MRIN:122) Susan Melvina BINGHAM-1697 on 5 May 1873 in Salt Lake City, Salt Lake, Utah, United States. 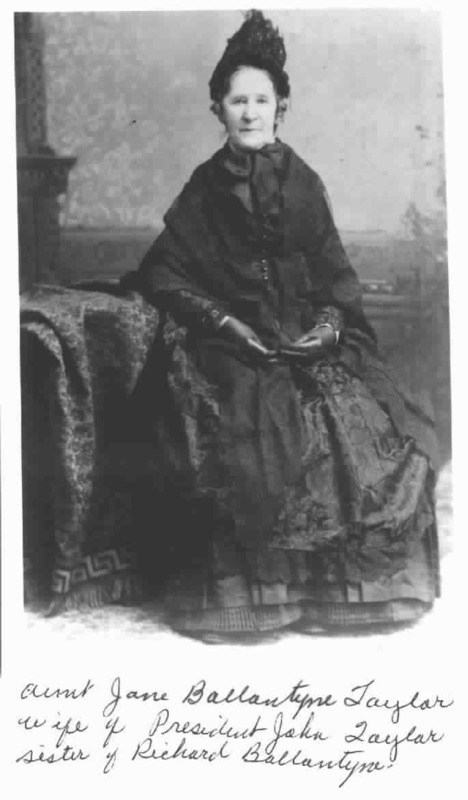 Susan Melvina BINGHAM [scrapbook]-1697 was born on 23 Nov 1856 in Ogden, Weber, Utah, United States. She died on 6 Nov 1903 in El Paso, El Paso, Texas, United States. She was buried on 10 Nov 1903 in Col. Dublan, Chiuahua, Mexico. Susan married (MRIN:122) Winslow FARR Jr-102 on 5 May 1873 in Salt Lake City, Salt Lake, Utah, United States. M i Heber Erastus FARR-9408 was born on 16 Aug 1875. He died on 6 Jun 1965. M ii Joseph Alma FARR-10668 was born on 29 Jul 1877. He died on 29 May 1945. F iii Melvina Jane FARR-10677 was born on 14 Oct 1878. She died on 4 Sep 1954 from of a myocardial infarction. F iv Lucy Alice FARR-10679 was born on 21 Jun 1880. She died on 14 Jan 1951 from of cerebral hemorrhage. F v Edith FARR [twin]-10681 was born on 6 Dec 1882. She died on 29 Jul 1935. M vi Ernest FARR [twin]-10683 was born on 6 Dec 1882. He died on 23 Oct 1974. F vii Belinda Hovey FARR-10695 was born on 8 Apr 1885. She died on 24 Oct 1968. Mamie Viola FARR 1-10697 was born on 9 Dec 1890 in Colonia Dublán, Chihuahua, Mexico. She died 2 on 7 Nov 1943 in Ogden, Weber, Utah, United States. She was buried in 1943 in Ogden, Weber, Utah, United States. Aunt Mamie's face was severely burned and disfigured when someone threw a fire cracker at her and it went down her neck, starting her clothes on fire. F ix Chloe Amanda FARR-10698 was born on 16 Mar 1892. She died on 19 Sep 1976. M x Dr. Wilford Winslow FARR-10700 was born on 7 Dec 1894. He died on 24 Jul 1956. M xi Asael Lorenzo FARR-10702 was born on 29 Sep 1896. He died on 19 Sep 1976. Winslow FARR Jr [Parents] [scrapbook]-102 was born 1 on 11 May 1837 in East Charleston, Orleans, Vermont, United States. He died 2 on 18 Feb 1913 in West Weber, Weber, Utah, United States. He was buried 3 on 20 Feb 1913 in Ogden, Weber, Utah, United States. Winslow married (MRIN:123) Matilda HALVORSEN-1698 on 12 Dec 1878 in Salt Lake City, Salt Lake, Utah, United States. Matilda HALVORSEN [scrapbook]-1698 was born on 4 Jul 1857 in Marriott, Weber, Utah, United States. She died on 12 Oct 1934 in Ogden, Weber, Utah, United States. Matilda married (MRIN:123) Winslow FARR Jr-102 on 12 Dec 1878 in Salt Lake City, Salt Lake, Utah, United States. Bertha Matilda FARR 1-10883 was born on 6 Sep 1880 in Ogden, Weber, Utah, United States. She died on 17 Sep 1881 in Ogden, Weber, Utah, United States. F ii Lettie Estelle FARR-10884 was born on 6 Feb 1883. She died on 23 Jul 1972. F iii Ella Mae FARR-10886 was born on 27 Jan 1885. She died on 19 Mar 1969. Simon Franklin FARR 1-10889 was born on 31 Jan 1887 in Bluff, San Juan, Utah, United States. He died on 18 Dec 1887. F v Josephine Amelia FARR-10890 was born on 4 Dec 1889. She died on 8 Apr 1976. M vi Winslow Halverson FARR-10892 was born on 16 Jul 1893. He died on 25 Apr 1946. Winslow FARR Jr [Parents] [scrapbook]-102 was born 1 on 11 May 1837 in East Charleston, Orleans, Vermont, United States. He died 2 on 18 Feb 1913 in West Weber, Weber, Utah, United States. He was buried 3 on 20 Feb 1913 in Ogden, Weber, Utah, United States. Winslow married (MRIN:124) Sarah Ann MITCHELL-1699 on 10 Jan 1899. Sarah Ann MITCHELL [scrapbook]-1699 was born on 31 Mar 1851 in Saint Louis, St. Louis, Missouri, United States. She died on 6 Dec 1928 in Salt Lake City, Salt Lake, Utah, United States. She was buried on 11 Dec 1928 in Wasatch Lawn Cemetary, Salt Lake City, Salt Lake, Utah. Sarah married (MRIN:124) Winslow FARR Jr-102 on 10 Jan 1899. Was first married to Joseph Graham. David BALLANTYNE [Parents] [scrapbook]-103 was christened 1 on 7 Aug 1748 in Earlston, Berwickshire, Scotland, United Kingdom. He died on 12 Dec 1831 in Springhall, Kelso, Roxburghshire, Scotland, United Kingdom. He was buried in Ednam Churchyard, Kelso, Scotland, United Kingdom. David married (MRIN:125) Cecelia WALLACE-5285. David was a member of Member of the Relief Church in Kelso, Roxburgshire, Scotland, United Kingdom. Cecelia WALLACE-5285 died in Earlston, Berwickshire, Scotland, United Kingdom. Cecelia married (MRIN:125) David BALLANTYNE-103. Margaret BALLANTYNE-5287 was born in 1802 in Earlston, Berwickshire, Scotland, United Kingdom. She died on 15 Nov 1843 in Edinburgh, Midlothian, Scotland, United Kingdom. M iii Henry BALLANTYNE-5288 was born on 21 Feb 1804. He died on 15 Jan 1851. William BALLANTYNE [Parents]-1510 was christened on 3 Feb 1712 in Melrose, Roxburghshire, Scotland, United Kingdom. William married (MRIN:126) Margaret RENWICK-1511 about 1742. Margaret RENWICK [Parents] 1-1511 was born about 1719 in of Hawick, Roxburgh, Scotland, United Kingdom. Margaret married (MRIN:126) William BALLANTYNE-1510 about 1742. George BALLANTYNE 1-6005 was born about 1743. Philip BALLANTYNE-1512 was born about 1745 in Merton Parish, Butchicot, Roxburghshire, Scotland, United Kingdom. He died in 1828 in Australia. M iii David BALLANTYNE-103 was christened on 7 Aug 1748. He died on 12 Dec 1831. M iv Robert BALLANTYNE-1513 was christened on 5 Oct 1746. He died on 22 Jul 1816. Jeannie BALLANTYNE-1514 was born about 1752 in of Redpath, Berwickshire, Scotland, United Kingdom. Peter BANNERMAN-1515 was born about 1760 in Kildonan, Sutherland, Scotland, United Kingdom. Peter married (MRIN:127) Anne MATHESON-1516. Surnames, which in general took their rise, from some peculiarity of local or official situation or from some remarkable trait of character, or personal qualification. This, had its origin in the privilege, held by the progenitors of the family, of CARRYING the ROYAL STANDARD; or being, as the Name indicates, BANNERMAN to our Kings of old. It is admitted by all our Writers on Genealogy, that the Ancestors of the Banner-mans enjoyed the Honour of carrying the King's Standard in time of War. - We are told they were Hereditary BANNER BEARERS, Equites Vexillarii (as it was termed) to our Kings, about the Tenth and Eleventh Centuries. They were in fact KNIGHTS BANNERET; -the most Ancient, and the most Honourable degree of Knighthood, which was never conferred, but upon persons of extraordinary merit, and military renown. Whatever slur therefore might, justly or otherwise, have been cast upon one of the Chiefs of this family, in the days of Malcolm Caenmore, or of Alexander the First (as shall be afterwards noticed) the conduct of his immediate progenitors, and that of the Founders of the family, must have been highly distinguished. In the Reign of Malcolm the 3d (according to Boetius and Buchannan) but if we follow others, in the succeeding Reign of Alexander the 1st, the Bannermans lost the honour of carrying the Standard. The cause is not clearly explained. For although some directly ascribe it to the misconduct of the chief of the family of that day, at the passage of the Spey, where the King gave it to Canon, the Ancestor of the Scrymgeours, who had accompanied him on that expedition, to quell a Rebellion in the northern part of the Kingdom; others say, that a principle of gratitude in the King, to that brave and distinguished Knight (Cannon) who had twice actually saved his life, (once in the field, and on another occasion when in more imminent danger at the Castle of Invergourie) induced him to constitute Cannon his Standard Bearer, in time to come. * A title, according to Sir George Mackenzie, which was then higher than that of a Baron. * And surely this ancestor of the Bannermmns might hesitate to enter the most rapid of all Scotch rivers in a flood when the boldest of the Greeks, Diomed, is described by Homer in a similar situation, standing still on the bank of a river rushing into the sea. whatever of the former Standard Bearer having shewn any backwardness or want of courage-or of the King's having taken the Standard out of his hands. Upon what authority then can Bocce, Buchannan, and Leslie have ascribed this action to Malcolm Caenmore, or where could they have learned the circumstances of 'Signifero expavente nec tam celeriter ut ante vexillun movente “-“ Signifero 'cunctanti flumen ingredi signum ei ablatum Alexandro Carroni dedit. '-And Leslie's still stronger and more absurd expression 'Regius Miles tanta hostiun multitudine pene exanimatus substitit?'] These later Writers also impute the hesitation in passing the river, to the multitude of the opposing enemy, while Fordun much more naturally and simply says, that it was occasioned by the magnitude of the river, swelled by the rains, and that the King only was intreated to delay crossing, until the flood should have subsided, which, from the known rapidity of the current, must have very soon happened. Upon the whole, if there is any truth in the story, the probability seems altogether to be in favour of what is stated by Fordun, and that the additional circumstances given by the other Writers, and other mistakes in their descriptions, are the pure offspring of their own imaginations. It is clear therefore, that no blame attached to the original Standard-Bearer, whoever he was; unless the blame that equally belonged to all the Nobles who were present-that of wishing and advising their rash and impetuous King, to postpone, for a few hours, his passage of the Spey, then flooded, and in the face of a numerous Army of Rebels. There are other discrepancies in the accounts of this transaction, as given by Boece, Buchannan, and Leslie, which are obvious on the slightest comparison, with that of Fordun or Major, from whom alone (so far as is known) they only could have derived their information. -But it is sufficient for the purpose of this account, that it admits of no doubt, that the Bannermans had a root as Ancient and Honourable, as almost any Family, of the Lesser Barons, of Scotland. And it will appear in the sequel, if their posterity did not hold any great rank, or occupy offices of power under succeeding Monarchs, that they yet were a Family of respectability and consideration; which is evident, not only from the situations filled by their Descendents in that part of the Kingdom where they have long been settled, but also from their intermarriages with some of the oldest and most distinguished Families in Scotland. Anne MATHESON [Parents]-1516 was born 1 on 27 Oct 1756 in Eccles, Berwickshire, Scotland, United Kingdom. She died in Upper Canada. Anne married (MRIN:127) Peter BANNERMAN-1515. Of Swedish ancestry according to Richard Ballantyne's diary. Iseby BANNERMAN-1517 was born about 1780 in Kildonan, Sutherland, Scotland, United Kingdom. Christiana BANNERMAN-1518 was born about 1782 in Kildonan, Sutherland, Scotland, United Kingdom. Catherine BANNERMAN-1519 was born about 1785 in Kildonan, Sutherland, Scotland, United Kingdom. Grace BANNERMAN-1520 was born about 1787 in Kildonan, Sutherland, Scotland, United Kingdom. Isabella BANNERMAN-1521 was born about 1790 in Kildonan, Sutherland, Scotland, United Kingdom. 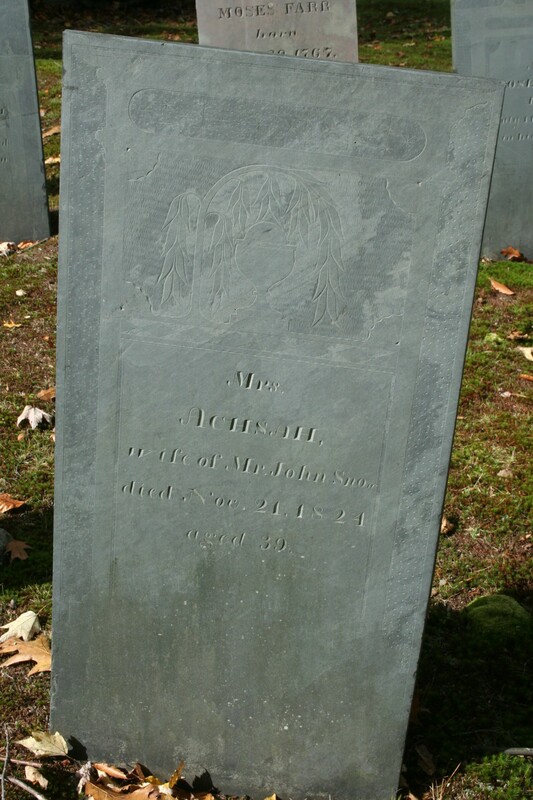 F vi Ann BANNERMAN-104 was born in Oct 1790/1791. She died on 11 Oct 1871. Wilhelmena BANNERMAN-1522 was born on 6 Sep 1791 in Kildonan, Sutherland, Scotland, United Kingdom. Donald BANNERMAN-1523 was born about 1794 in Kildonan, Sutherland, Scotland, United Kingdom. William BANNERMAN-1524 was born about 1796 in Kildonan, Sutherland, Scotland, United Kingdom. Isabel BANNERMAN-1525 was born on 14 May 1799 in Kildonan, Sutherland, Scotland, United Kingdom. Mina BANNERMAN-1526 was born on 17 Nov 1805 in Kildonan, Sutherland, Scotland, United Kingdom. President John TAYLOR [scrapbook]-1700 was born on 1 Nov 1808 in Milnthorpe, Westmoreland, England, United Kingdom. He died on 25 Jul 1887 in Kaysville, Davis, Utah, United States. He was buried on 29 Jul 1887 in Salt Lake City, Salt Lake, Utah, United States. John married (MRIN:128) Jane BALLANTYNE-107 on 25 Feb 1844 in Nauvoo, Hancock, Illinois, United States. Comments: Taylor, John (Male)At the age of fourteen John became a cooper's apprentice in Liverpool, England, and subsequently learned the turner's trade at Penrith, in Cumberland, England. He received his first schooling at the village of Hale, Westmoreland, where his parents lived on a small estate bequeathed to the head of the house by an uncle. In 1830 John emigrated to America, following his parents, who were then residing at Toronto, Upper Canada. Shortly after being baptized and ordained an elder (1836) John was set apart to preside over the Church in Upper Canada. In March, 1837, he visited Kirtland, Ohio, where he first met the Prophet Joseph Smith, and was his guest while sojourning there. He attended a meeting in the temple, at which Warren Parrish made a violent attack upon the Prophet. Elder Taylor defended the absent Prophet and endeavored to pour oil upon the troubled waters. In 1838 John removed to Kirtland, proceeding thence in the general exodus of the Saints to Missouri. At DeWitt, Carrol Co., Missouri, he and his party of 24 were confronted by an armed mob of one hundred and fifty, led by Abbott Hancock and Sashiel Woods, the former a Baptist, the latter a Presbyterian minister. After some parleying the armed mob retired and permitted them to continue on to Far West, Missouri. John was a witness to the outrages perpetrated by the Missourians upon the new settlers, and a participant in the scenes of peril and disaster ending in the imprisonment of the Prophet and other leaders and the expulsion of the Mormon community from the state. John bravely and unflinchingly bore his part of the general burden of sorrow and trial; he knew no fear and shirked no responsibility or sacrifice that his duty entailed. In the fall of 1837 John was told by the Prophet that he would bechosen an apostle, and at a conference in Far West, October, 1838, it was voted that he fill the vacancy occasioned by the apostasy of John S. Boynton. The High Council at Far West took similar action and on December 19 John was ordained an apostle. He was one of the committee appointed to memorialize the Missouri Legislature for redress of grievances, and was also appointed with Bishop Edward Partridge to draft a similar petition to the general government. John assisted President Young to superintend the exodus of the Saints from Missouri, and was with him and others of the Twelve when they made their famous ride from Quincy, Illinois, to Far West, Missouri, prior to starting upon their mission to Great Britain. John started upon this mission August 8, 1839. At Nauvoo, Illinois he was joined by Wilford Woodruff, and these two were the first of the Twelve to sail. They landed at Liverpool, England, on January 11, 1840, and at a council held at Preston, it was decided that John Taylor should labor in Liverpool with Elder Joseph Fielding. He was appointed a member of the committee to select hymns and compile a hymn book for the Latter-day Saints. In July, 1840, he passed over to Ireland and preached in the court house at Newry, County Down. This was the introduction of Mormonism in the Emerald Isle, the first convert being Thomas Tate. John next went to Glasgow. After preaching to the Saints in that city he returned to Liverpool and delivered a course of lectures at the music hall in Bold street. On September 16th, he, with Elders Hiram Clark and William Mitchell, sailed for the Isle of Man. He delivered a course of lectures, baptized a goodly number, organized a branch, and then returned to Liverpool. He returned to America with President Young and other apostles, arriving at Nauvoo on July 1, 1841. At Nauvoo, John was a member of the city council, one of the Regentsof the University, Judge Advocate with the rank of Colonel in the Nauvoo Legion, associate editor and afterwards chief editor of the "Times and Seasons." He was also editor and proprietor of the "Nauvoo Neighbor," in the columns of which paper, in February, 1844, he nominated Joseph Smith for the Presidency of the United States. John, with Willard Richards, voluntarily shared the imprisonmentwith the Prophet and Patriarch. While in prison he sang a hymn to raise their drooping spirits, and soon after the jail was assaulted by the mob who shot to death the Prophet and Patriarch. In the midst of the melee John stood at the door with a heavy walking stick, beating down the muskets of the assassins that were belching deadly volleys into the room. After Joseph and Hyrum were dead, John was struck by a ball in the left thigh while preparing to leap from the window whence the Prophet had fallen. Another missile from the outside, striking his watch, threw him back into the room. This was all that prevented him from descending upon the bayonets of the mob. In his wounded state he dragged himself under a bedstead that stood near, and while doing so received three other wounds--one a little below the left knee, one in his left hip, and another in the left forearm and hand. The Prophet's fall from the window drew the murderers to the yard below, which incident saved the lives of John Taylor and Willard Richards, the latter the only one of the four prisoners who escaped unharmed. As soon as practicable John, who had been carried by Doctor Richards for safety into the cell of the prison, was removed to Hamilton's hotel in Carthage, and subsequently to Nauvoo. John accompanied the exodus, February 16, 1846, to Council Bluffs, Iowa, from where he was sent with Parley P. Pratt and Orson Hyde to set in order the affairs of the British mission. After accomplishing their purpose they returned, arriving in 1847. Apostle Taylor brought with him a set of surveying instruments, with which Orson Pratt, a few months later, laid out Salt Lake City. After the departure of President Young and the pioneers in April, Parley P. Pratt and John Taylor exercised a general superintendency over the affairs at Winter Quarters, Nebraska. With Isaac Morley and Newel K. Whitney they organized the immigration that crossed the plains that season. It was about the 21st of June when these apostles, with six hundred wagons and upwards of 1500 people began the journey from the Elk Horn. John Taylor's division arrived at Salt Lake City on October 5, 1847. In 1849 John was called to head a mission to France. In companywith Lorenzo Snow, Erastus Snow, and Franklin D. Richards, who were on their way to Italy, Denmark, and England, respectively, he set out on October 19 to re-cross the plains. After a very successful mission, where he organized a branch and made arrangements for translating the Book of Mormon into Gallic, John returned. He arrived at Salt Lake City August 20, 1852. He brought with him the machinery for the beet sugar plant, manufactured in Liverpool at a cost of $12,500. He also brought with him the busts of Joseph and Hyrum Smith, prepared under his personal direction by one of the artists of England. Two years later John was called to preside over the Eastern Statesmission and to supervise the emigration. Resigning as a elect of the legislature, he, accompanied by his son George J. Taylor, and by Elders Jeter Clinton, Nathaniel H. Felt, Alexander Robbins and Angus M. Cannon, set out in the fall of 1854 for New York City, where the first number of "The Mormon" was issued February 17, 1855. In 1857, at the outbreak of the "Utah War," John returned to Salt Lake City. John Taylor was a member of the Utah legislature, 1857-76. For thefirst five sessions of that period he was speaker of the house. From 1868 to 1870 he was probate judge of Utah county. In 1869 he held his celebrated controversy with Vice-President Colfax through the columns of the New York press. From 1871 to 1875 he published a series of letters in the "Deseret News," reviewing the situation in Utah, denouncing territorial government as un-American and oppressive, but warning the people against violent resistance to Judge McKean's high-handed and exasperating course. In 1877 John was elected territorial superintendent of schools, and served as such for several years. The next important event in his history was his elevation to theleadership of the church, to which he virtually succeeded at the death of President Young, August 29, 1877. He had been serving as President of the Twelve Apostles. He continued to act in that capacity until October, 1880, when the First Presidency was again organized with John Taylor, George Q. Cannon, and Joseph F. Smith as its personnel. President Taylor's last appearance in public was on Sunday, February 1, 1885, when he preached his final discourse in the tabernacle at Salt Lake City. He had just returned from Mexico and California, after a tour through the settlements of the Saints in Arizona. That night he went into retirement and was never again seen in life except by a few trusted friends. He died July 25, 1887, at the home of Thomas F. Rouche, in Kaysville, Davis, Utah. His funeral was held four days later at the tabernacle in Salt Lake City. Comments: #21. In 1860 John had a household of seven, a real wealth of $2,000, and a personal wealth of $2,000. Comments: #31. John emigrated to Canada where he was converted to the Gospel. He presided over the Saints in Upper Canada. He visited the Prophet Joseph in Kirtland, Ohio, moved to Missouri in 1838; was called by revelation July 8, 1838 to be one of the Twelve Apostles. He filled a mission to England in 1839-41, after which he filled a number of missions for the Church. He crossed the Plains in 1847 and came to Utah. He filled a mission to France and Germany in 1849-52, and later presided over the mission in the Eastern States where he published the "Mormon" in the interest of the Church. After President Brigham Young's death in 1877, he presided over the Church, first, as President of the Twelve and later as the third regular President of the Church. He filled a successful mission to Great Britain, after preaching in Illinois, Indiana, Ohio, and New York. He introduced the Gospel into Liverpool, England, the Isle of Man and Ireland. Comments: #41. 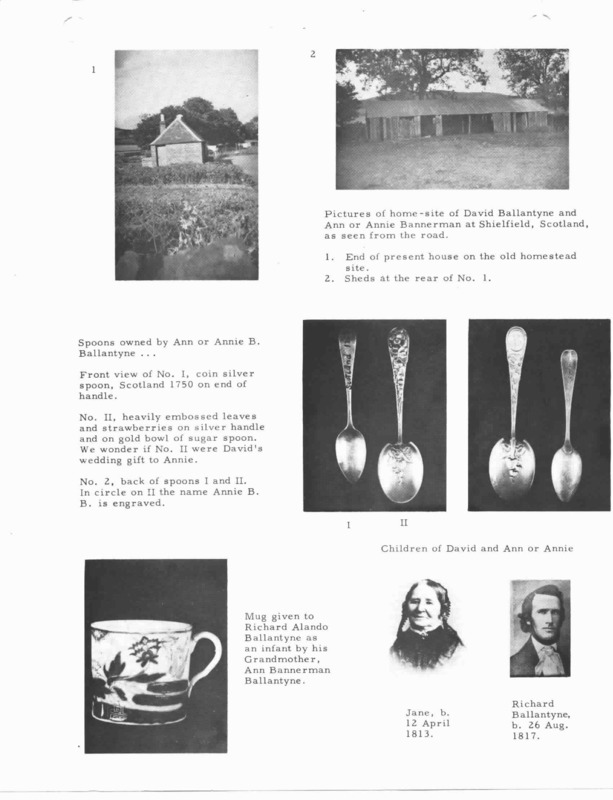 Taken from the Journal of John Taylor--Family background. Schooling. Apprenticed to cooper in Liverpool, 1822-23. Apprenticed to a turner in Cumberland, 1823-28. Rest of family emigrated to Upper Canada, 1830. Author followed them, 1832. Religious background. Became a Methodist because it "seemed to me more of a matter of fact, personal thing than the church of England," 1824. Methodist exhorter or local preacher at age seventeen. Continued preaching in Toronto area. More interested in teaching "the leading doctrines of the christian religion, rather than the peculiar dogmas of Methodism." Belonged to group seeking after true church. Missionary visit of Parley P. Pratt. Wrote first letter to minister in England on the subject of Mormonism. Presiding elder in the district. Experiences with Sampson Avard in Canada, 1837. Made three visits to Kirtland. Spirit of apostasy there. Presiding elder again. Raised funds to "relieve the Presidency in their embarrassment." Informed by letter that he had been called to Quorum of Twelve and should proceed to Far West via Kirtland, 1838. "President John Taylor's Dictation." A sort of oral history done in 1884. Answers questions about trip across the plains to Utah, crime in Utah ("we were a good deal imbued with the old Hebraic ideas-a good deal like the Puritans, yet we never enacted blue laws, neither had we witches to kill, even if we had been disposed to do so"), early voting practices, manufacture of liquor, a trip to England in 1846, city planning, Kirtland Bank bills and the Danites. Comments: #51. John joined the Methodist Church about 1823; subsequently appointed preacher. Emigrated to Toronto, Canada, 1828-29. Visited Kirtland March 1837. Appointed by revelation July 8, 1838 to be ordained apostle. Moved to Missouri in fall of 1838. Located temporarily in Quincy, Illinois, 1839. Accompanied others of Twelve to Far West, Missouri, April 26, 1838. Located family at Montrose, Iowa, 1839. Mission to England 1839-41. Left Montrose on August 8, 1839. Arrived in Liverpool on January 11, 1840. Left Liverpool for United States on April 20, 1841. Arrived in Nauvoo on July 1, 1841. Elected member of the Nauvoo City Council and Nauvoo Legion, and regent of Nauvoo University. Appointed associate editor of the Times and Seasons on February 3, 1842. Initiated into masonry on April 22, 1842. Editor-in-chief of Times and Seasons, 1842-1846. Editor and proprietor of Nauvoo Neighbor, May 1843-October 1845. Member of Council on March 10, 1844. Accompanied Prophet to Carthage Jail in June, 1844. Received four balls into body from guns of mob on June 27, 1844. Sealed for time to Lydia Dibble January 30, 1846. He left Nauvoo for West in spring of 1846. To Winter Quarters, 1846. Mission to England, 1846-1847. Arrived in England on October 3, 1846. Elected associate judge of provisional State of Deseret on March 12, 1849. Called on mission to France in October, 1849. Arrived in Liverpool in May 27, 1850. Arrived in Boulogne, France on June 18, 1850. Left England for United States on March 6, 1852. Arrived in Salt Lake City on August 20, 1852. Appointed to preside over branches of Church in eastern states and publish paper 1854. Published "The Mormon" in New York City, February 1855-May 1857. Returned to Salt Lake City on August 7, 1857. Member of the Utah Territorial Legislature, 1857-76. Speaker of house for five successive sessions, beginning in 1857. Probate judge of Utah County 1868-70. Elected territorial superintendent of district schools in Utah in 1877. 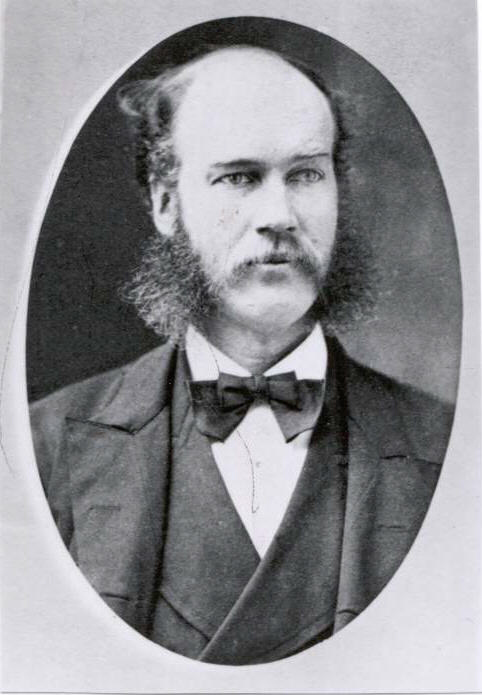 Elected director of ZCMI on October 7, 1877. Elected president of ZCMI on October 5, 1883. President of Church from October 10, 1880 to July 25, 1887. He was sealed to Mary Rainsbottom on January 23, 1846. Jane BALLANTYNE [Parents] [scrapbook]-107 was born 1 on 11 Apr 1813 in Sheatfield, Berwickshire, Scotland, United Kingdom. She died on 26 Dec 1900 in Salt Lake City, Salt Lake, Utah, United States. Jane married (MRIN:128) President John TAYLOR-1700 on 25 Feb 1844 in Nauvoo, Hancock, Illinois, United States. Married the 3rd President of the LDS Church. M i Richard James TAYLOR-1659 was born on 4 Feb 1848. He died on 17 Mar 1905. Thomas Charles HALL-686. Thomas married (MRIN:129) Annie BALLANTYNE-109 on 27 Feb 1857. Annie BALLANTYNE [Parents]-109 was born on 2 Sep 1819 in Whiterigg Bog, Roxburghshire, Scotland, United Kingdom. She died on 10 Mar 1908. She was buried in Mar 1908. Annie married (MRIN:129) Thomas Charles HALL-686 on 27 Feb 1857. John QUAYLE-9269 was born on 24 Jun 1801 in Kirk Michael, Isle Of Man, England. He died on 5 Jan 1892. He was buried on 8 Jan 1892 in Salt Lake City Cemetery, Salt Lake City, Salt Lake, Utah, United States. John married 1 (MRIN:130) Annie BALLANTYNE-109 on 30 Oct 1871 in Salt Lake City, Salt Lake, Utah, United States. Annie BALLANTYNE [Parents]-109 was born on 2 Sep 1819 in Whiterigg Bog, Roxburghshire, Scotland, United Kingdom. She died on 10 Mar 1908. She was buried in Mar 1908. Annie married 1 (MRIN:130) John QUAYLE-9269 on 30 Oct 1871 in Salt Lake City, Salt Lake, Utah, United States.